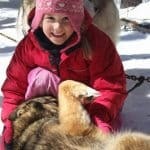 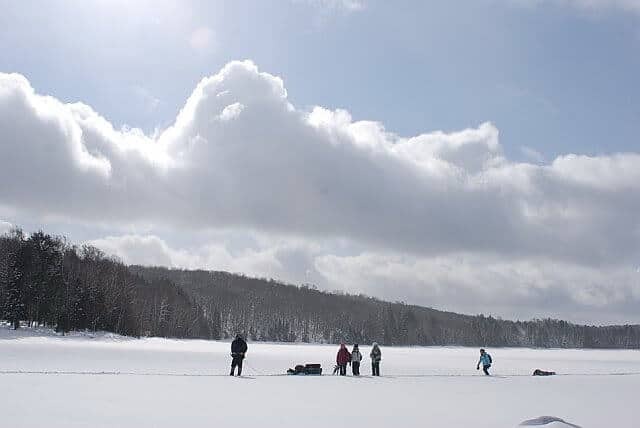 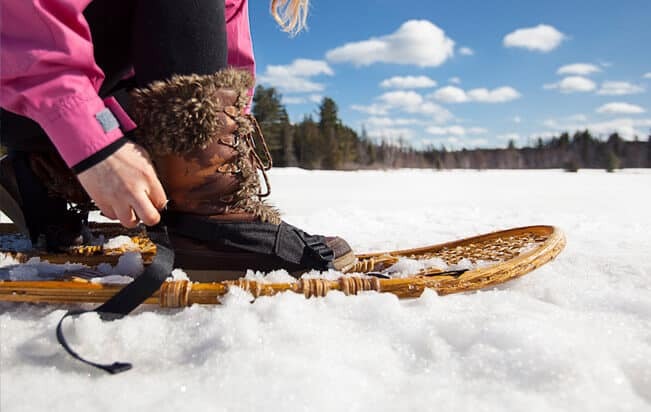 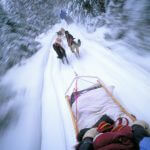 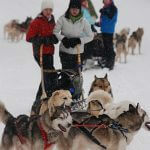 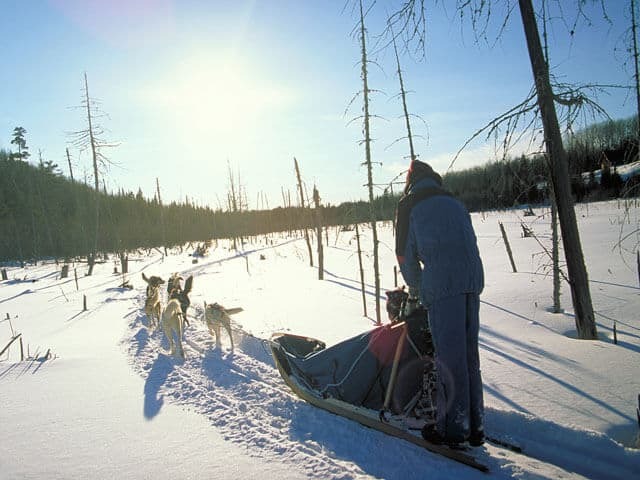 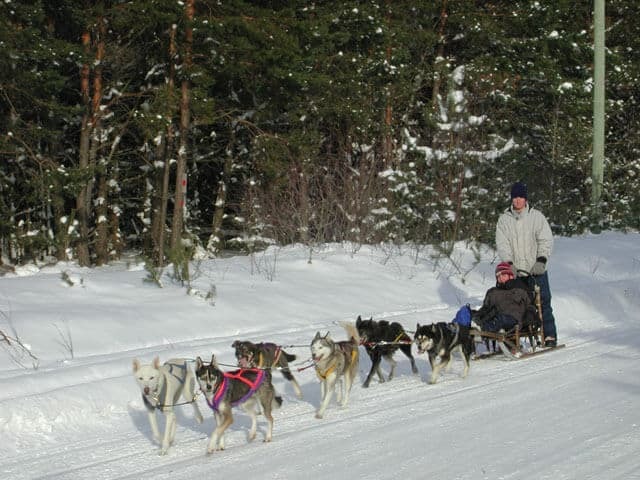 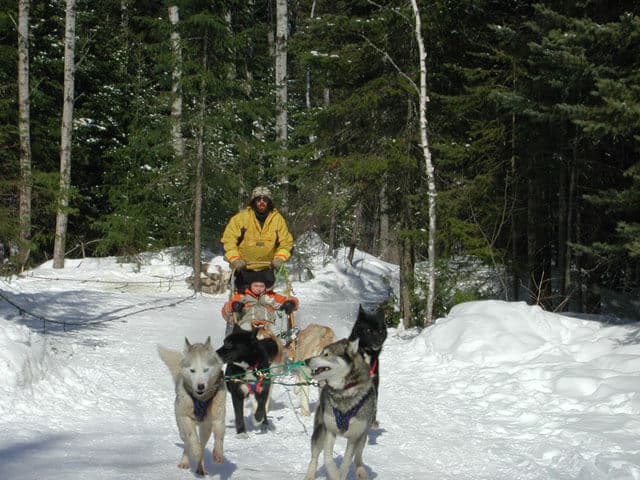 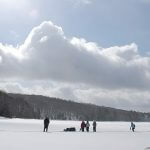 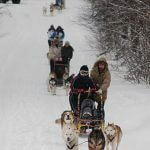 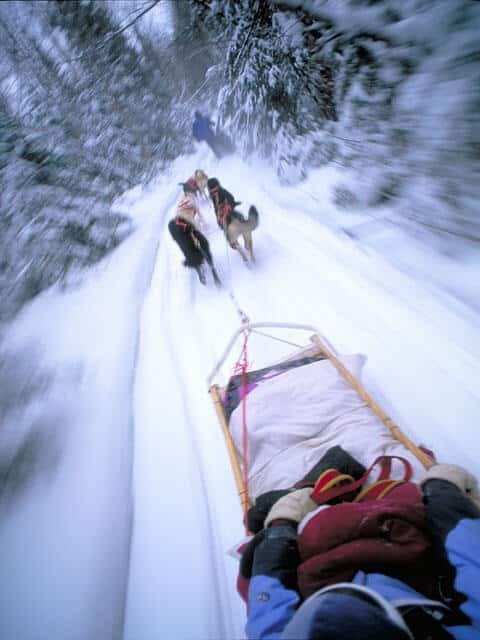 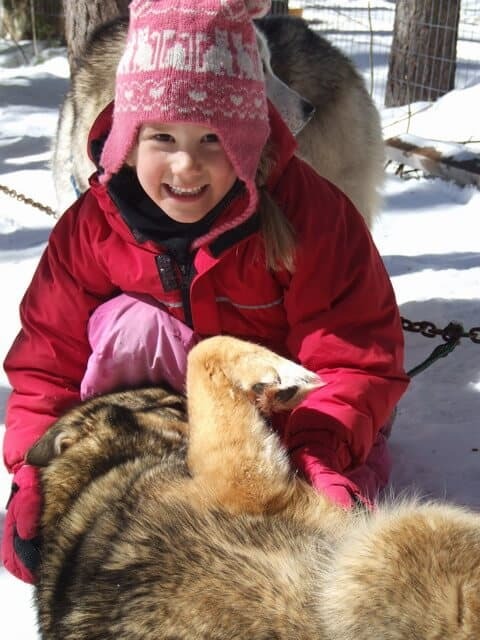 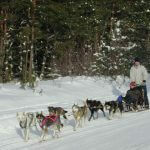 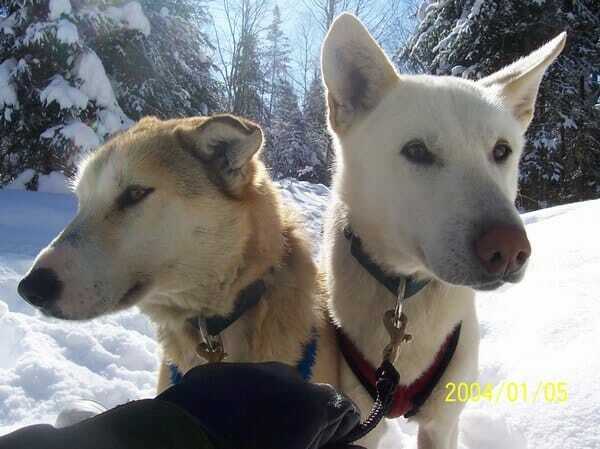 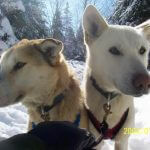 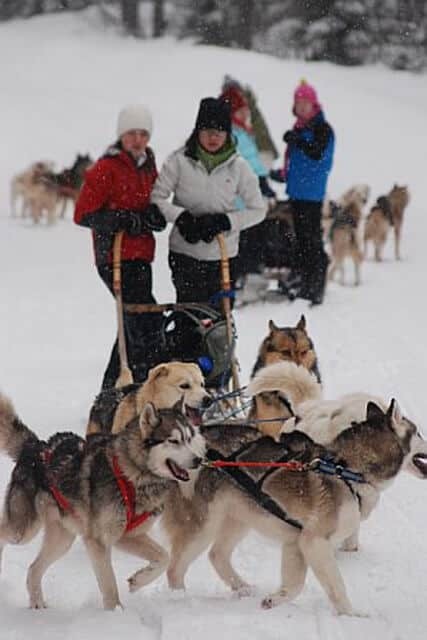 "Algonquin Park Log Cabin based Dogsled, ski and snowshoe adventure"
This 3-day Algonquin Park dogsled, ski and snowshoe trip offers a sample of winter adventures with comfortable log cabin accommodation. 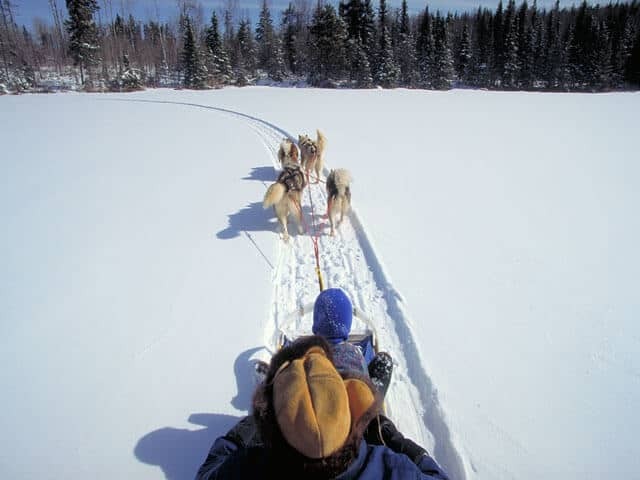 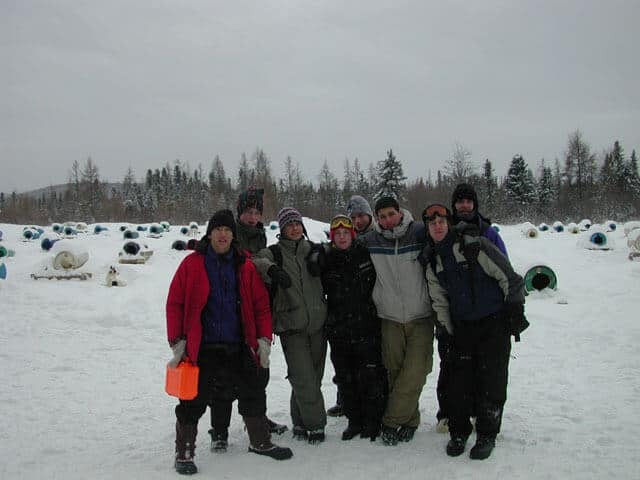 Selected in March 1998 by the Canadian Tourism Commission as the “BEST WINTER PACKAGE IN CANADA” , enjoy active days on the trail and tasty meals and famous log cabin hospitality at night. 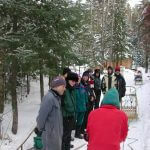 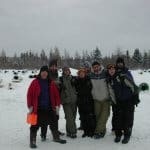 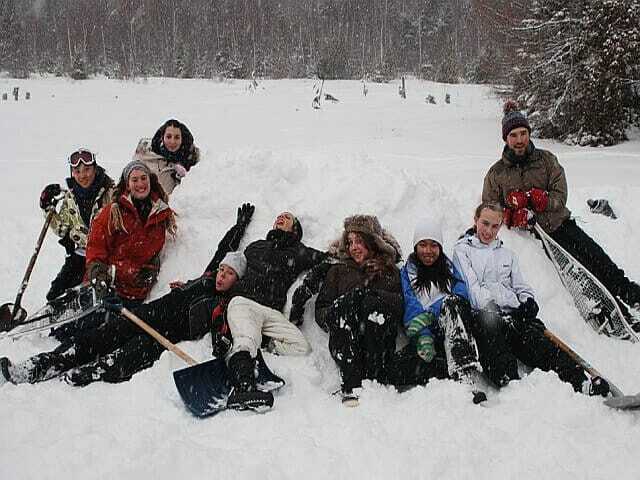 No experience is required for this 3 day winter trips. 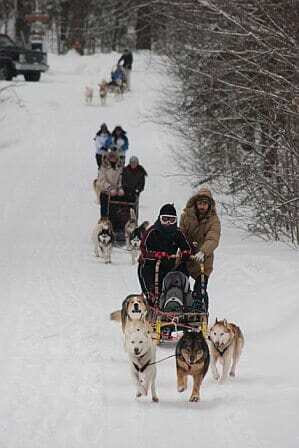 It is a great way to get a taste of all aspects of winter. 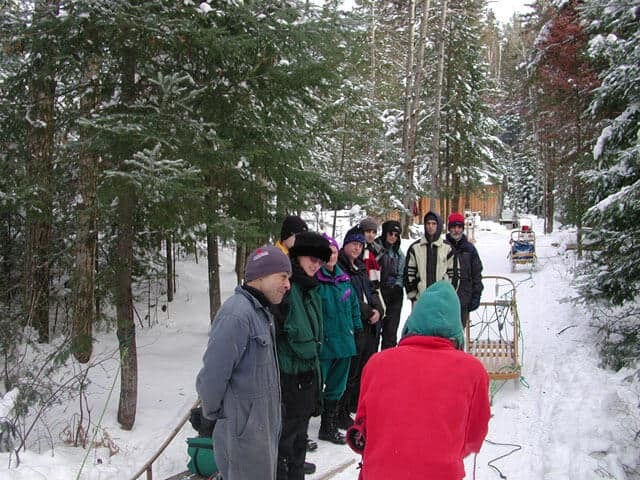 Our Algonquin Log Cabin offers comfort after an energetic day on skis or snowshoes. 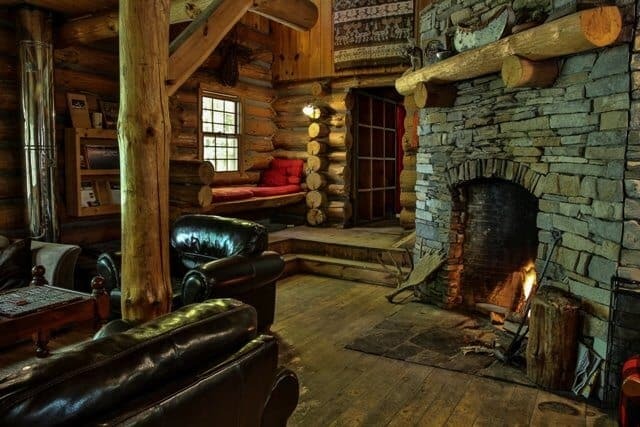 Enjoy a wood-fired sauna, shower, and then sip a hot drink in front of the stone fireplace. 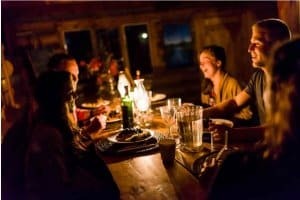 Our guests continue to rave about our creative and home cooked Canadian feasts! 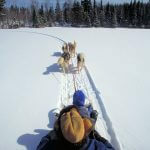 Two nights accommodation, all meals, guided excursions including dogsledding, backcountry skiing, snowshoeing, and services of wilderness guides.